When you’re working on a finished look for your project, you have several different options to consider. Natural stone is one of the top choices if you want beautiful color, a durable finish and a low-maintenance product. However, natural stone can carry a high price tag that may not fit neatly into your budget. The great news is that you don’t have to pay a king’s ransom to bring the luxurious feel of marble to your hotel, new home or other project. In many cases, you can find marble at a great price if you know where to look and are willing to make a few minor changes. In addition to saving by working with the right supplier, you can also lower your cost by looking for a marble color that provides you with the look at a lower price that you’ll appreciate. One of the impressive features of marble is that there are similarities along different product lines. Crema Bella marble and Crema Marfil have similar coloring and veining, yet the Crema Bella features a lower selling price. Unless there’s some aspect of the Marfil that you simply must have, then you may find that the Bella will work just as well. You’ll save money, and your project will still have the beautiful finishing colors that you’ve been dreaming of. Bianco Dolomiti and Vanilla Oro are also examples of marble shades that are very close, yet the Vanilla Oro also features a lower selling price per square foot. One of the most affordable marble tiles that you can choose is the Crema River. With a lovely mocha coloring and wavy veining, it can work perfectly with almost any décor, and it features one of the lowest selling prices to help you save money. With most retailers, you buy the tiles on site and take them home. If you aren’t careful with packing and transporting the merchandise, then you could wind up breaking several marble slabs in transit. This becomes a loss for you as most of those tiles will be unusable and must be disposed of. A better option is to work with a company that will ship the merchandise to you. Here at Nalboor, we take great care with our orders and will carefully package the tiles in crates and containers to minimize breakage. This allows our customers to save in several ways. You’ll spend less time sorting through the order for broken merchandise, and you’ll save money by receiving tiles that are intact and ready for use. You’ll also save frustration on the job. With most wholesalers, you have to establish that you’re a retailer or contractor in order to take advantage of the low prices, but that’s not the case when you work with our crew. We offer wholesale pricing to homeowners, architects, designers, and contractors alike. You can get all the flooring materials you need to take your next project to a higher level, and you’ll benefit from our competitive rates. We work hard to keep our costs down throughout the manufacturing and delivery process, and we pass those savings on to you. Our customers count on us for excellent prices on marble, faux wood flooring and even ceramic. In addition to selling the high-end materials that you may want, we also offer cost-effective alternatives that can provide you with a similar look at a fraction of the price. When you’re dealing with marble, you may go with a slightly lighter or darker color in order to lower your materials expense, but you may find that the new look actually works better for you. When you’re looking for deals, you still want to ensure that you’re getting quality merchandise. Structurally, Crema River and Crema Marfil marble are both strong and durable tiles that can provide you with a lifetime of service. While there are some differences in the color, you can count on them still being quality stones that can withstand regular traffic and other heavy demands. While the composition of marble may be the same across different retailers, how the stones are cut and manufactured can make a big difference in quality. Manufacturers must take care to properly finish the stones in order to maintain strength and ensure quality. We have experienced professionals who treat the manufacturing of stones like an art. They take pride in their work and want to deliver products that will meet and even exceed your expectations. If you go with cut-rate suppliers who lack the quality control and dedication to excellence, then you may not enjoy the same high quality of manufacturing. Stones may be cut carelessly for edges that are less than perfect, or there may be problems with sizing consistency, finishing work, and even matching. Saving money doesn’t have to mean sacrificing quality, and you can count on our team for excellent prices and quality materials. As you look at different marble options, remember that you don’t have to go with a specific line in order to get the same beautiful color. One of the easiest ways to save money is to change the color requirements slightly in order to take advantage of more attractive pricing. However, you aren’t forced to settle for something less than what you really love. Here at Nalboor, our main priority is to help you save money on the quality merchandise that suits your needs and will give your project the perfect finished look. 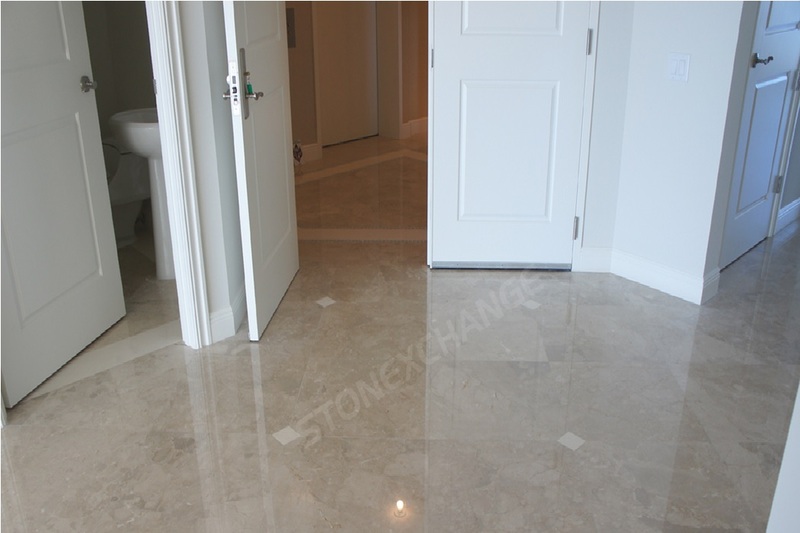 We carry a range of beautiful natural stone tiles, and we take pride in offering you wholesale pricing. We strive to provide you with great service and friendly treatment, so contact us today to see how we can help you save money while getting the perfect flooring materials for your upcoming project. Your satisfaction is our top priority, and we’ll work hard to help you save money.